Modern IT infrastructure is critical to business success in today's evolving digital world. 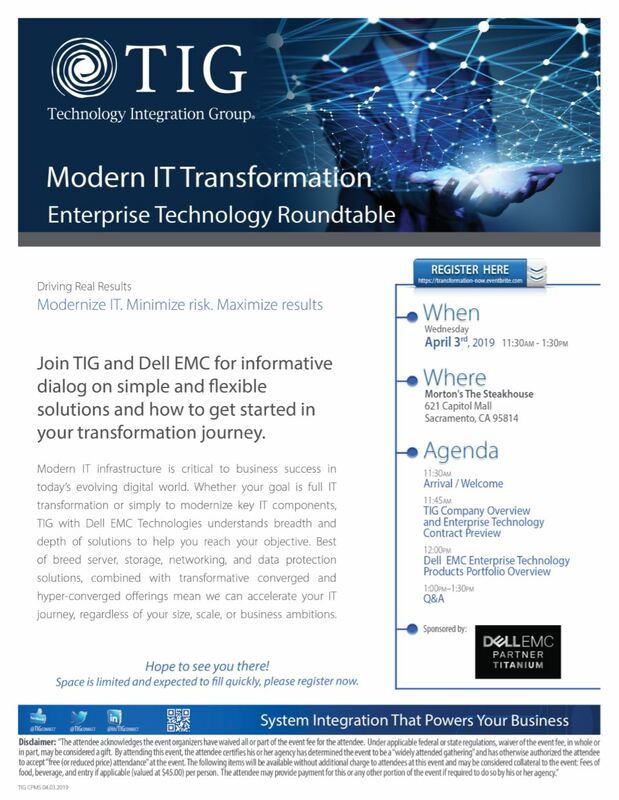 Whether your goal is full IT transformation or simply to modernize key IT components, TIG with Dell EMC Technologies understands breadth and depth of solutions to help you reach your objective. Best of breed server, storage, networking, and data protection solutions, combined with transformative converged and hyper-converged offerings mean we can accelerate your IT journey, regardless of your size, scale, or business ambitions.